The female clevis end of the adapter is made to industry standard size and will fit most makes of testing machines. 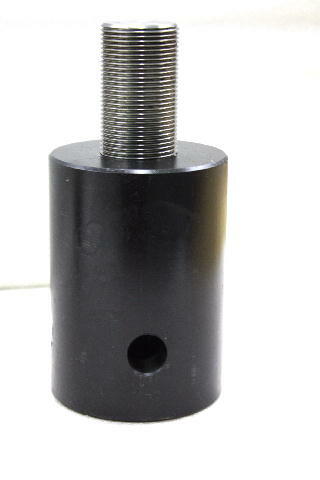 The clevis end has four cross drilled hole for assembly of fixturing at 0 and 90 degrees. The adapter has a spanner wrench hole for ease of assembly and disassembly. Each clevis is made from high strength steel. The ends have been machine chamfered for easy assembly.